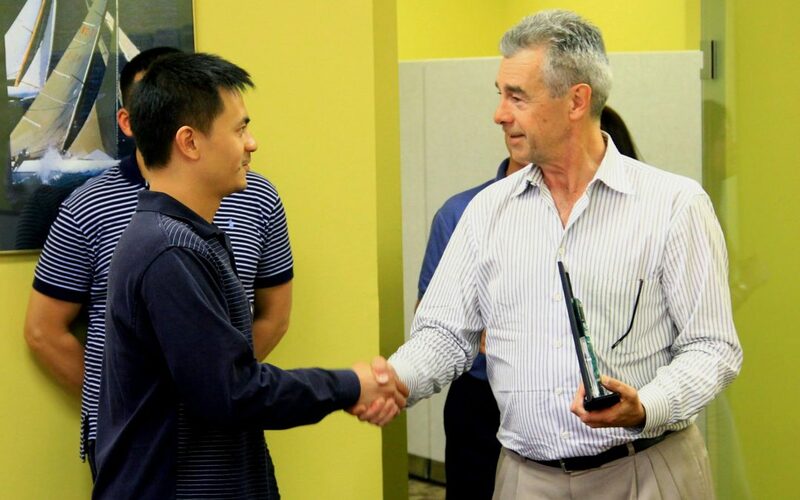 Toronto, June 17th 2013: ITC Systems would like to congratulate and thank Ming Wu for successfully completing 5 years of service. We really appreciate Mings continued hard work and dedication to ITC Systems, he is an integral part of the production team at ITC Systems, describes Cam Richardson, CEO of ITC Systems. Ming is the Technical Liaison at ITC Systems. He started with the company as a co-op student from Centennial College in May 2008 and has come a long way since then. Ming thanked all his colleagues for their help and support at the recognition ceremony at ITC Systems. I feel like I am continuously learning and growing here at ITC Systems. I love my colleagues and I am grateful for the opportunity, described Ming. On behalf of all the employees, suppliers and customers, ITC Systems thank Ming for his continued hard work and dedication.